Kazoo! 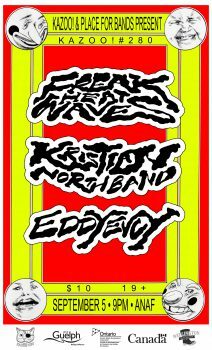 + P4B Present: Freak Heat Waves / Eddyevvy / Kristian North - Kazoo! Stripped to a two piece, Freak Heat Waves has entered a woozy, psychedelic new world of downtuned post-punk. The band’s latest album, Beyond XXXL, sounds like warped kraut-rock or a screwed and chopped version of a Roadhouse band – it’s perfect for dancing while simultaneously getting your bean freaked. Waterloo has birthed a monster. 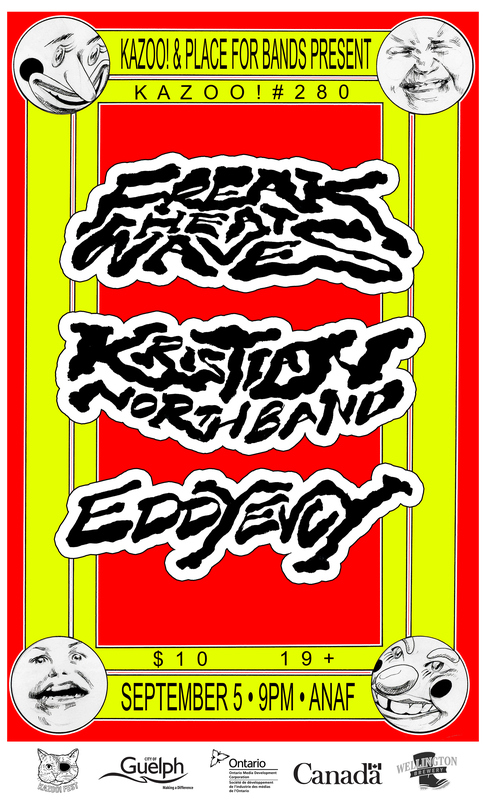 Originating in 2016 as a duo consisting of Micaela Loreto and Mitchell Hartung, EDDYEVVY has since fleshed out into a 4-piece with the addition of Jae Holdsworth and Eric Repke. Recalling early ‘90s bands like Slowdive, Sonic Youth and My Bloody Valentine, Eddyevvy plays music that thoughtfully blends the noisey with the melodic. With a great EP called I’m Glad You Were Born to their name, this is a band to fall into. The frontperson for Victoria stoner grunge-punk masters, Babysitter, Kristian North has taken a trip to the weird world of ’80s rock, mixing together late era Dylan and Cohen with bouncing new wave guitars and screeching synths to create something that is poppy, fun, infectious, and confounding. Backed by a group of Montreal’s best rockers, this live show is not to be missed.